Marbling is a method of transferring complex designs and patterns created on the water surface by sprinkling water-repellant colorants in aqueous solution of rubber resin to paper. It is said that marbling has originated in Turkey in the 15th century and has been used to produce decorative paper for binding books. Paper produced this way is referred to as marbled paper (Turkish paper) because the patterns resemble marble. In Turkey, this technique is called “ebru” and is still used today to create art work. In ebru, a mixture of pigments and ox gall is sprinkled with a brush over a vat containing an aqueous solution of rubber resin (gum tragacanth), and patterns are drawn on the solution with a stick. Paper is then laid over the top, making sure air is not trapped in between, to transfer the pattern to the paper. 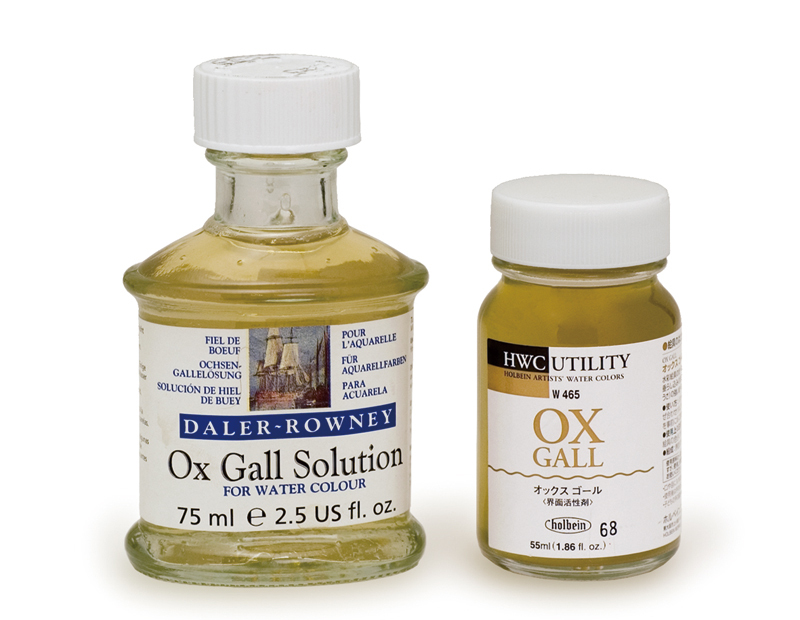 The technique can be imitated by using gum Arabic solution as an alternative for the rubber resin solution, and by making colorant from a blend of ox gall solution and watercolor paint. The steps are the same as ebru. 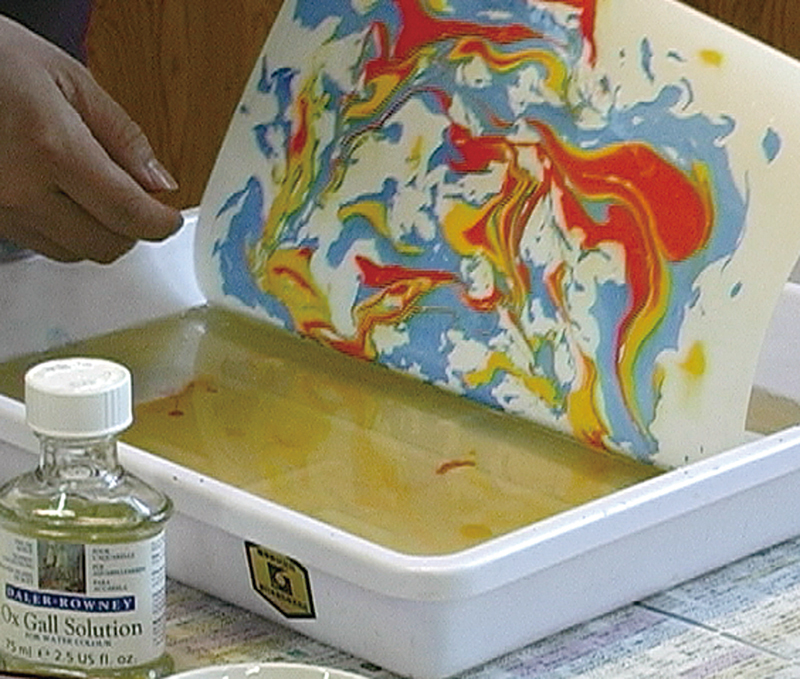 Add a few drops of colorant on the surface of aqueous gum Arabic solution, create patterns and transfer them to paper. 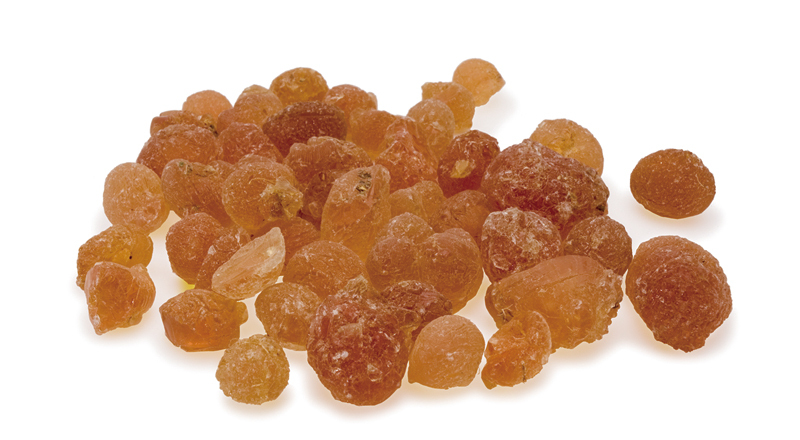 A weak aqueous gum Arabic solution should be prepared for this but since the task of adjusting the concentration is quite difficult, it is best to make a relatively thick solution first and gradually dilute it with water. Simple paper marbling sets are available at art supply stores, which may be worth trying. A very similar technique called “suminagashi” has been practiced for a long time in Japan too. The origin of this technique dates back to the Heian period, and paper with complex patterns produced through this method was often used as writing paper. In suminagashi, a brush is used to add a few drops of sumi ink to water in a vat. Then, another brush is moistened with pine resin juice or grease (such as turpentine) and the brush tip is dabbed on to the surface of the water. The grease repels the ink, spreading it over the surface in concentric circles. This process is repeated to move the ink in complex patterns over the water, and the design is soaked up on a washi paper, making sure air is not trapped in between, in the same way as marbling. 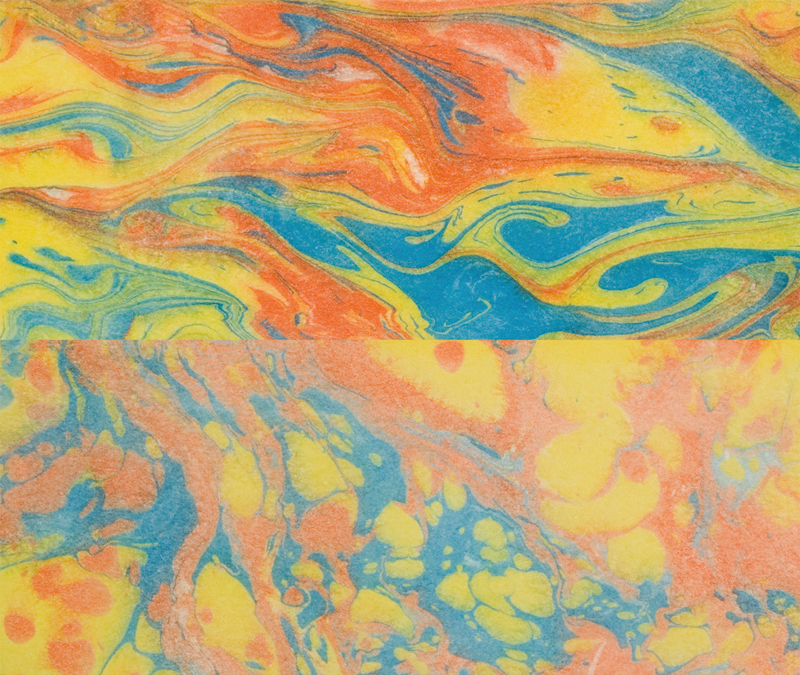 Compared to marbling, patterns produced by the suminagashi technique have a more natural feel to them. 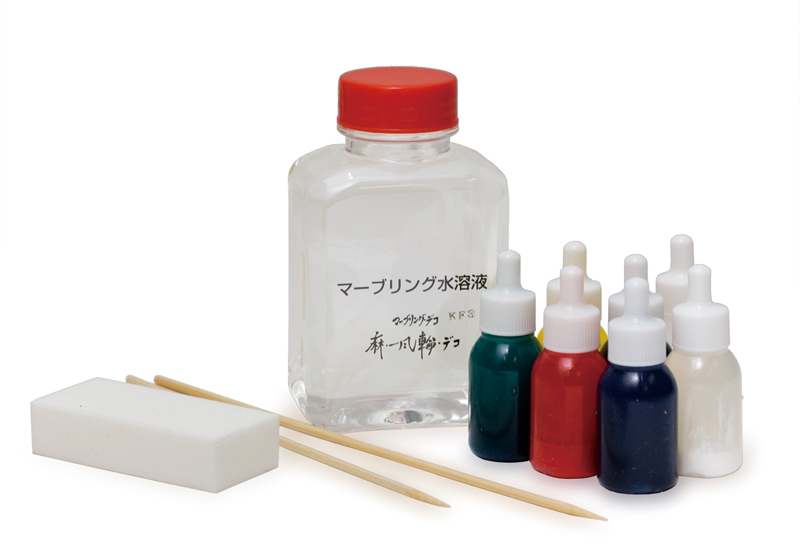 A simplified method of suminagashi also exists in which oil paint dissolved in turpentine, or lithographic ink mixed with varnish, is used instead of the sumi ink.